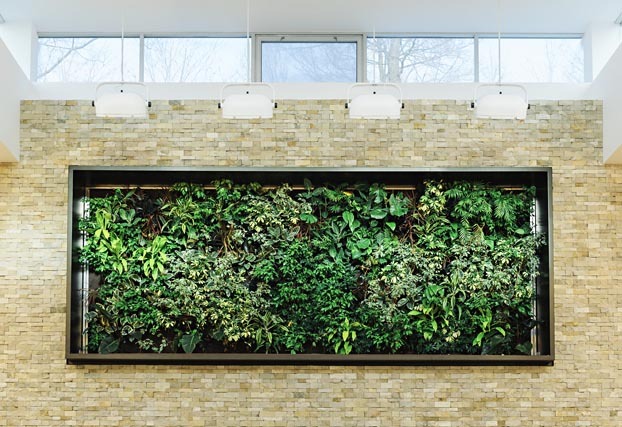 Nedlaw Living Wall Biofilters ‘consume’ pollutants, thereby cleaning indoor air. 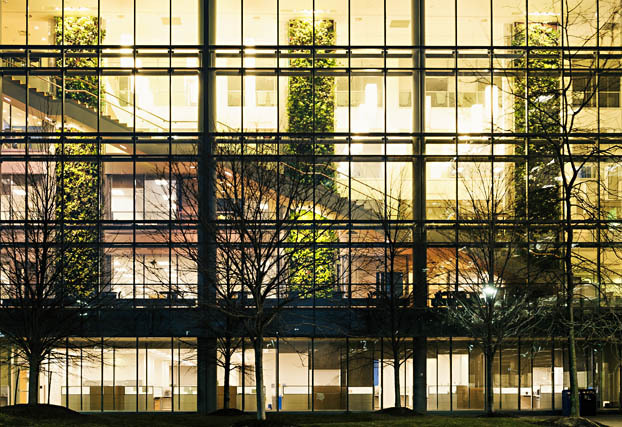 Building-integrated Nedlaw biofilters can provide fresh air at 90% less cost than traditional HVAC systems. 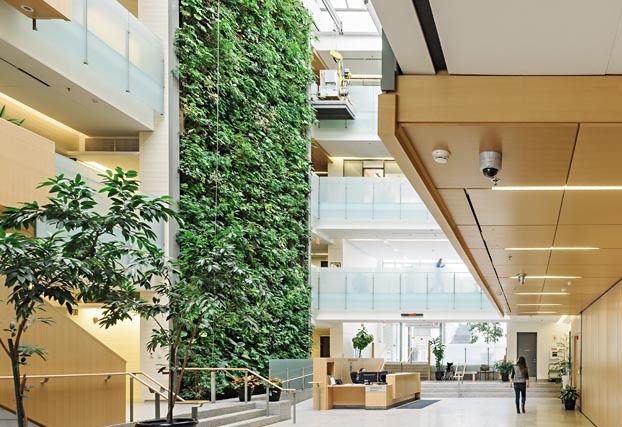 By reducing HVAC equipment, Nedlaw Biofilters can pay for themselves and provide continuous energy savings – plus offer healthier interior spaces. The hydroponic systems are soil-free, flourish with natural or artificial lighting and require minimal maintenance. The versatile modular Nedlaw system can be a vertical, horizontal, curved or elevated design. 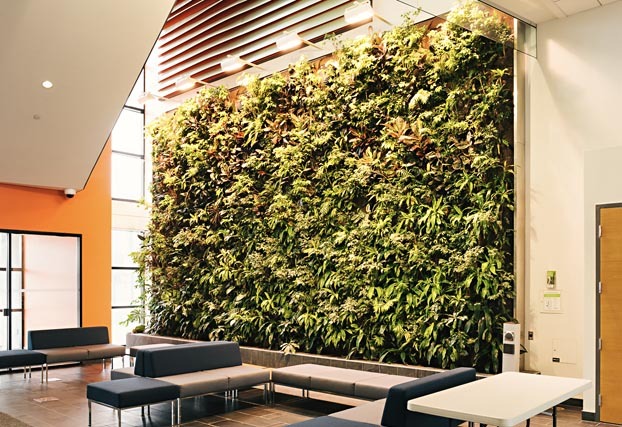 For quotes or information contact Nedlaw at 519.648.9779 or livingwalls@nedlaw.ca. 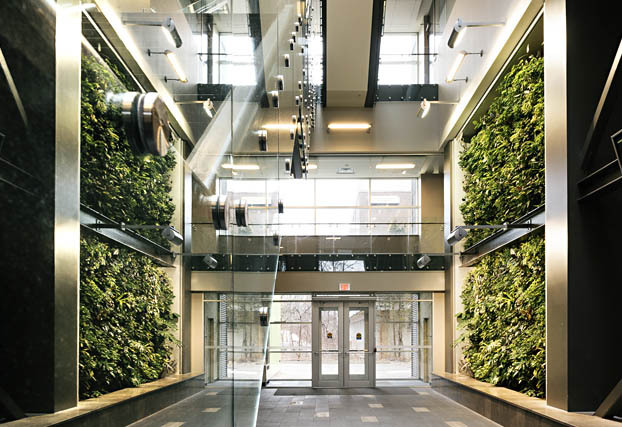 Multi-storey living wall biofilter at Cambridge City Hall LEED Gold certification. 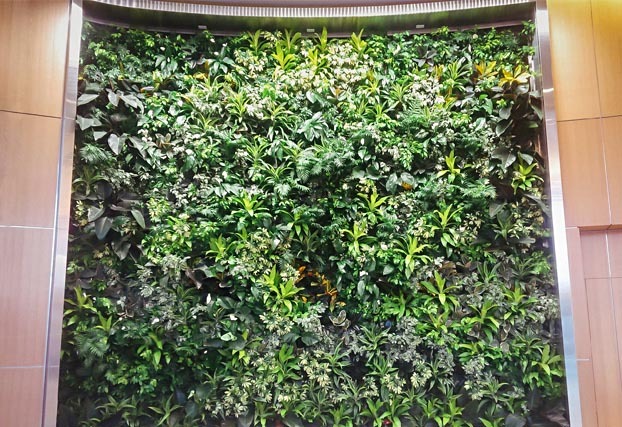 Multi-storey living wall biofilter at manufacturing facility lobby. 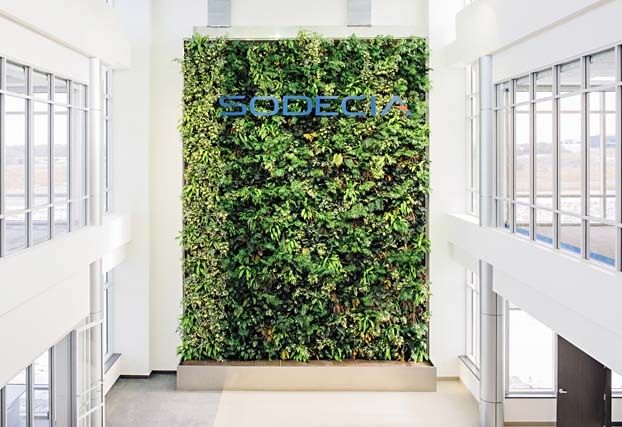 Curved design, living wall biofilter at commercial lobby (Buffalo NY) LEED Silver certification. 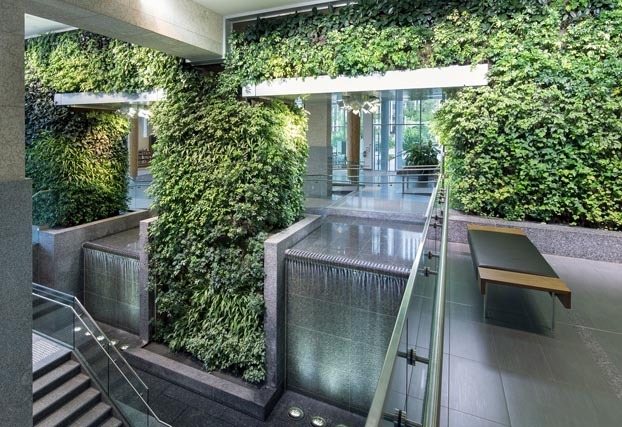 Elevated, living wall biofilter in office space, Aspen Ridge Homes. 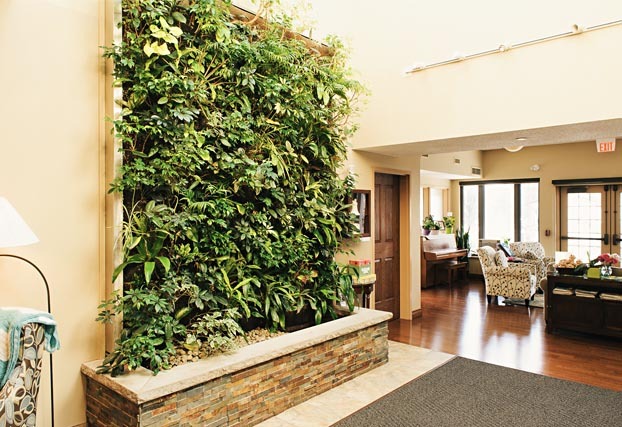 Living wall biofilter in private hospice lobby/waiting area. 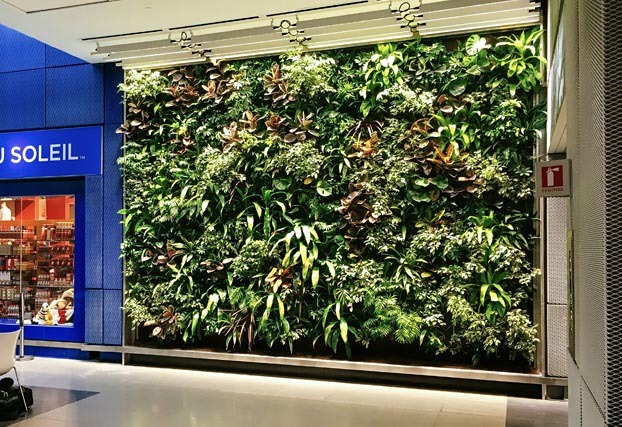 The world’s first living wall biofilter installation in an international airport, Pierre Elliott Trudeau International Airport. 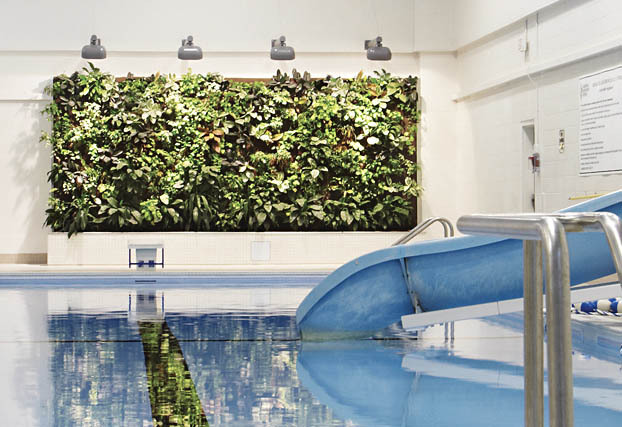 Living wall biofilter at community pool consumes odors. Nedlaw Biofilters improve indoor air quality by removing pollutants and improve building performance by supplying fresh air. 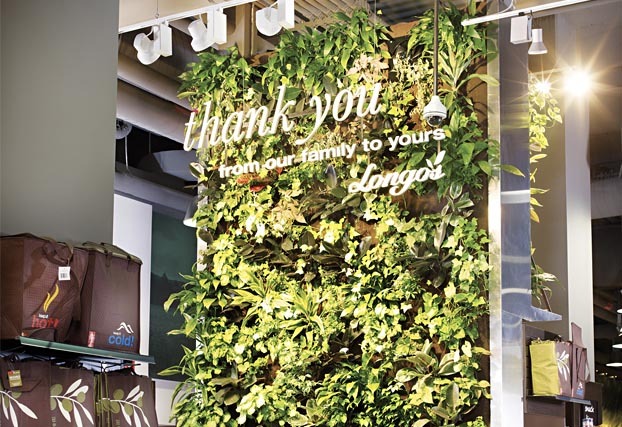 Our biofilters offer more LEED points than other green walls because they actively clean air.